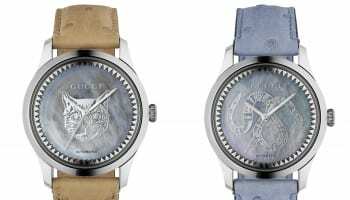 High-end fashion brand Gucci is extending its dive watch collection with a range of 40mm and 45mm pieces. 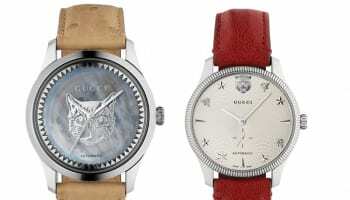 The watches’ dial design is unmistakably Gucci’s, displaying either a feline head or the kingsnake motif. 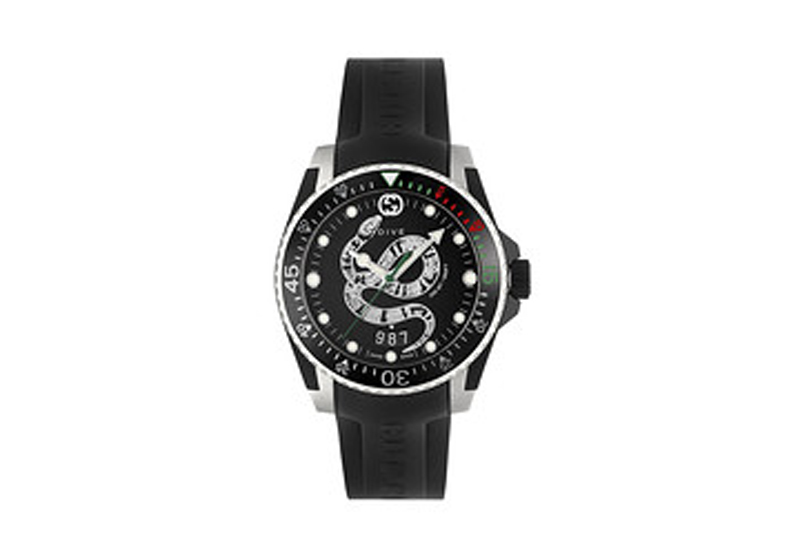 This is combined with more traditional diver’s watch elements, including a unidirectional rotating bezel. The 45mm version comes with a steel case and bracelet, or with a yellow gold PVD case and black rubber strap. The Gucci logo is engraved on the case back. Two 40mm models show the feline head on the dial and offer a choice between white and black. One displays a steel case, black dial and black rubber strap, while the other comes with a yellow gold PVD case, white dial and white rubber strap. 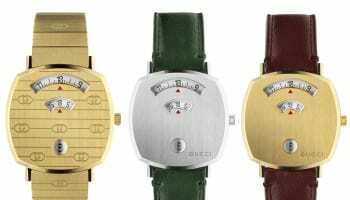 All of the watches are powered by an ETA quartz movement and are water resistant to 20 ATM.